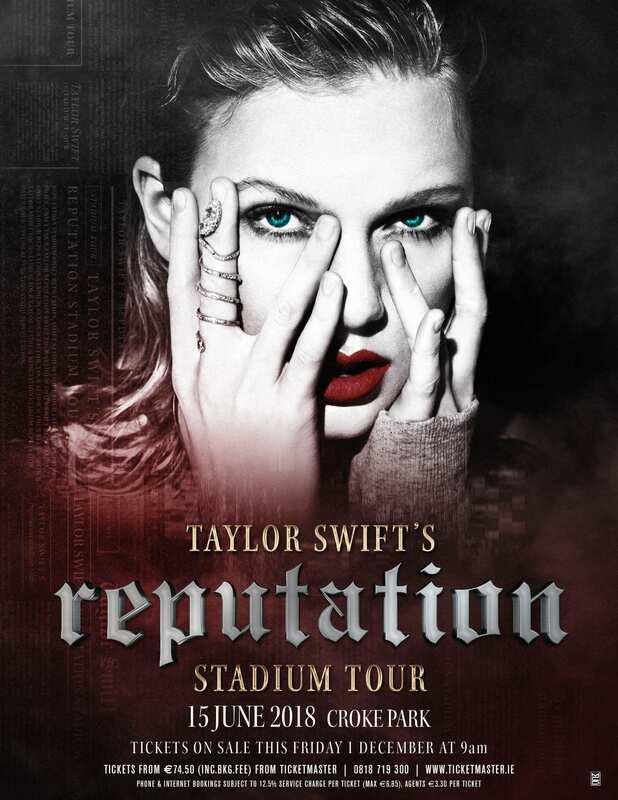 Following the release of Taylor Swift’s unanimously critically-acclaimed U.K. #1 album, reputation, the ten time GRAMMY award winner has today announced the U.K. & Ireland dates for Taylor Swift’s reputation Stadium Tour. 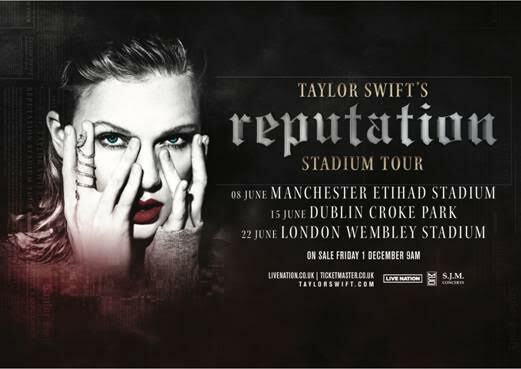 Taylor Swift’s reputation Stadium Tour is set to arrive in Dublin, Manchester and London. The GRAMMY award winner will play Dublin's Croke Park on 15th June 2018. Tickets go on-sale to the general-public Friday 1 December 2017. Subscribers of TaylorSwift.com will have access to purchase tickets in advance beginning Wednesday 29th November.